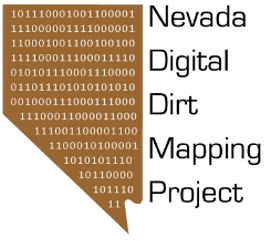 The Digital Dirt Map of Clark County, Nevada is proceeding with a team of 13 now. The goal is to complete the map by May 1 (! ), so the team may grow by a couple more members soon. One of the key issues that we are currently grappling with is the refinement of the bedrock-alluvium contact in areas where it is poorly expressed by existing sources. For the most part this includes areas previously mapped at only 1:250,000 scale. Areas previously mapped at smaller scales (1:100,000 and 1:24,000) are far less problematic. Accurately mapping this contact for a final scale of 1:150,000 for our compilation requires some basic approaches. For one thing, I have been actively training a capable team composed primarily of geography and geology students, so the learning curve isn't too steep. To discern the primary contact, we have multiple base sources at our disposal (e.g., ASTER, NAIP, ETM) as well as a nice hillshade image of the county based on the 10-m DEM data. This particular base image alone allows for a massive improvement in some of the preexisting geologic linework on the basis of distinguishing predominantly steeply sloping and irregular bedrock outcrops from less steep and generally smoother alluvial, aeolian, and playa deposits. However, applying a manipulative trick that maximizes the value of LiDAR imagery for topographic visualization, it is possible to leverage even the 10-m DEM for better results. The approach is to develop a slopeshade map. In the case of a slopeshade map, all steep slopes are shaded and all gentle slopes are illuminated....no matter what their aspect. It is essentially an isoshade representation where the sun is shining from all angles at once. Looks nice, no? This is a very pleasing way to present the county in cartographic form. Note how different these two images are. In the case of the slopeshade, no topography is masked by shadow. Every slope is rendered in the same way no matter which direction it faces. In this rendition the primary contact between rock and non-rock is quite clear.